Poshtots is a luxury-priced home goods store — primarily featuring classic furniture and home decor for kids. ShopSleuth found 53 home goods stores similar to Poshtots, out of our database of 45,744 total stores. The following stores offer the closest match to Poshtots based on our proprietary matching algorithm. Submit your vote below to help us refine our Similarity Scores and rank the stores and brands most like Poshtots! Restoration Hardware is a luxury home furnishings company. It specialize in timeless, updated classics and authentic reproductions, including furniture, lighting, textiles, outdoor and garden. Land of Nod is a children's furniture company that offers furnishings, décor, toys and baby gear. Land of Nod creates each piece with a purpose, a soul, telling stories through artistry. Design Within Reach makes authentic modern design accessible. Design Within Reach offers a wide array of home and office furnishings, décor and accessories. Bassett Furniture is a leading furniture retailer that provides high quality home furnishings. Bassett Furniture offers affordable products as well as a personalized, custom design service. Arhaus Furniture is a designer home furniture retailer. Arhaus Furniture offers pieces for every room made from natural materials such as natural hardwoods, organic cotton and wrought iron. India Jane is a London based home furnishings retailer that sells furniture, lighting, and home accents. India Jane is inspired by the classic elegance of traditional European design. Lillian August is a home furnishings brand that sells furniture and home décor. Lillian August offers high quality products inspired by fashion and designed with a sense of sophistication. Schoolhouse Electric embodies the unique American mindset and provides iconic products for the home. Schoolhouse Electrics offers lighting, furniture, tools and more. The Painted Cottage is a shabby chic furniture retailer in New Jersey. The Painted Cottage offers charming French provincial pieces, antiques, farmhouse décor and painted furniture. Mod Shop is a home furnishings brand that sells contemporary furniture and home accents. Mod Shop takes inspiration from vintage items, mid-century design, and the elegance of the old Hollywood era. YLiving is an online store providing the best in modern and contemporary home furnishing. It has a well-curated selection of modern accessories and décor from top brands like Knoll and Kartell. Pb Teen is a youthful home décor retailer that operates under Pottery Barn. Pb Teen offers colorful, quirky, high quality home furnishings designed for dorm rooms, study areas, and teens' bedrooms. Early Settler is an Australian home furnishings store that sells high quality furniture and décor. Early Settler offers an assortment of contemporary, country, and classical styles. HD Buttercup is a home furnishings retailer that offers contemporary, vintage inspired, and eclectic furniture and accessories. HD Buttercup sells products from the best designers around the world. I.O. 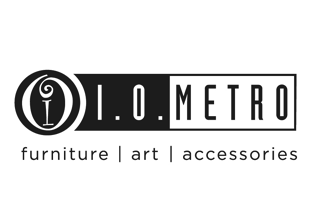 Metro is a home furnishings brand that sells contemporary and eclectic furniture, art, and home décor. I.O. Metro is known for its eco-friendly products and customizable designs. Raymour and Flanigan is committed to helping you achieve your dream home. Raymour and Flanigan is a home décor and furniture retailer that offers unique pieces that fit a wide array of styles. Nell Hills is a home décor retailer that sells luxury bedding, dishes, rugs, and other accents. Nell Hills is known for mixing the old with the new to create uniquely styled, inviting rooms. Poshtots offers an incredible selection of designer-quality furnishings and décor for nurseries and children's rooms. Poshtots carries over 3,000 exceptional items that are unique and upscale.